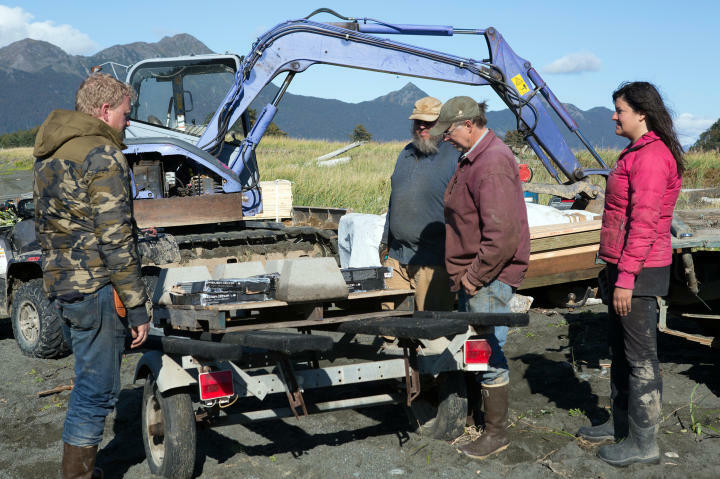 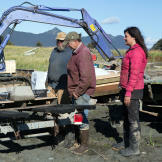 Jane Kilcher, Shane Kilcher and Otto Kilcher move supplies and equipment to the beach to load onto the barge to Perl Island. 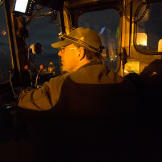 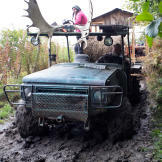 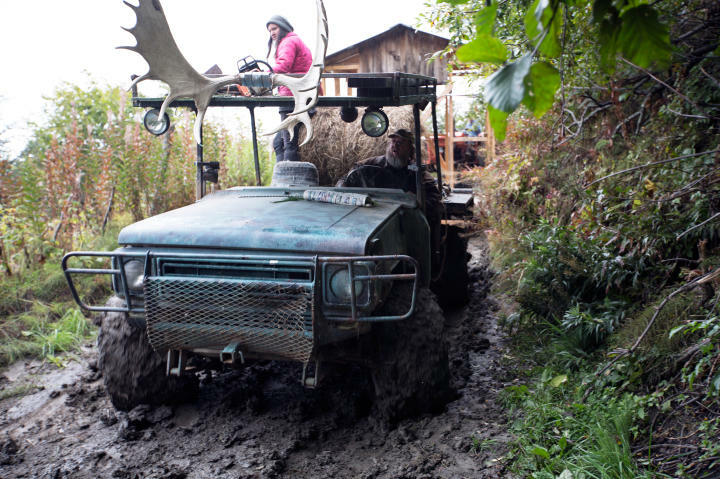 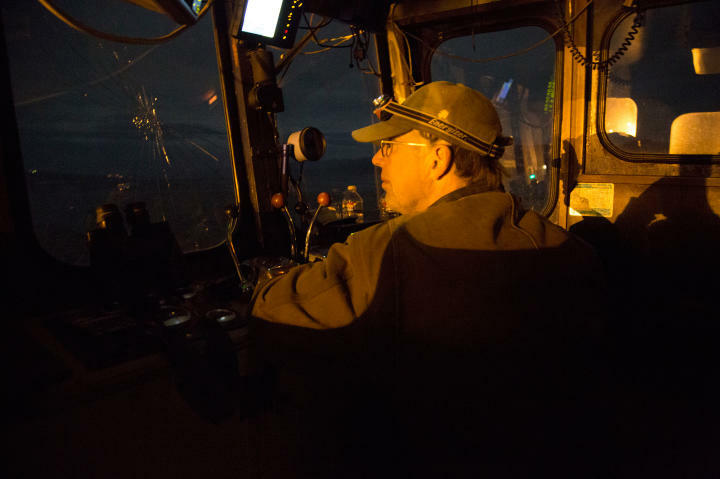 3 Otto Kilcher drives the barge to Pearl Island. 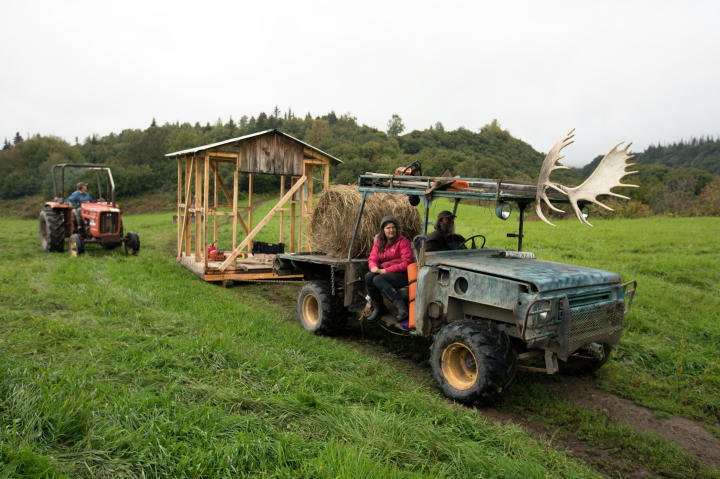 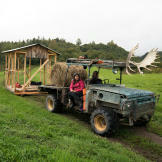 5 Jane Kilcher pulls the shed skeleton behind the bulldozer.